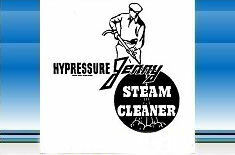 The Hypressure Jenny was the first Steam Cleaner ever made - first in the world! It was invented by Mr. Frank W. Ofeldt, II in 1927. He immediately joined Homestead Valve Manufacturing Co. in Coraopolis Pennsylvania, and later became Chief Engineer of the Hypressure Jenny Division. But Hypressure Jenny's background dates back through three generations, to the invention in 1885 of the first gasoline-propelled motor-boat by F. W. Ofeldt. I, grandfather of the present Frank W. Ofeldt. This first motor-boat, or "Naphtha-Launch" as it was then called, was driven by a gasoline vapor generator similar in construction to the generator used in Hypressure Jenny for generating a cleaning spray. It is interesting to note that this was the first known use of gasoline for transportation, since it was before the Automobile Industry started, and gasoline at that time was thrown away as a by-product in the manufacture of kerosene. The new Motor-Boat Industry started by Mr. Ofeldt's invention, therefore, was immediately assisted by Mr. Rockefeller, Flagler, etc., because it represented the first large market for gasoline. During the development of the automobile, the present Mr. Ofeldt's Grandfather, and his Father, A. W. Ofeldt, were contemporary with Stanly, White, Doble, and others in the design and manufacture of steam generators to power the first automobiles, which were steam-driven. And during the past thirty-five years, the Ofeldts have become well-known also for their work in developing and manufacturing flash-type gas and oil-fired steam boilers for many purposes. 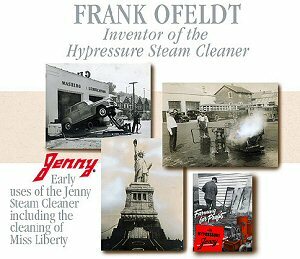 Because of this three-generation background - almost 100 years of know-how in the design and manufacture of steam and vapor generators - Jennys are the most efficient, economical, powerful, and dependable Steam Cleaner in the world! © 2004 Gamco Inc. All rights reserved.